What’s the next best thing to a Museum field trip? 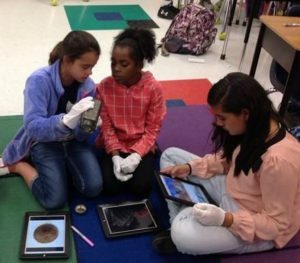 Bringing the Museum to your school! Intended as a supplemental educational resource and as an outreach program for schools unable to visit the Museum, the Traveling Trunks are a unique opportunity for teachers in all 15 Upcountry counties. Teachers can use the trunks to enhance units of study and engage students in object-based learning. Reserve your Traveling Trunk today! How do I reserve the Traveling Trunk? Send form to the Director of Education at Elizabeth@upcountryhistory.org. What is the cost to bring the Traveling Trunk to my school? $25 per trunk for one week plus shipping and handling. Trunks can be picked up and dropped off at the Museum to avoid shipping fees. For those trunks shipping outside the Upcountry of South Carolina, an additional week’s rental is required to cover the time the trunk is in transit. How long can I have the Traveling Trunk at my school? The Traveling Trunk can be reserved for two weeks at a time. How do I pick up and return the Traveling Trunk? You may either pick up and return the Trunk in person at the Museum, or have it shipped via UPS. The cost of shipping will be the responsibility of the school. What SC state standards does the Traveling Trunk meet? All Traveling Trunks meet South Carolina Social Studies and Language Arts Standards. What is included in the Traveling Trunk? See the “What’s in the Trunk” page of the Teacher’s Guide (below) for details. Can I read the Teacher’s Guide before I bring the Traveling Trunk to my school? Copyright © 2019 Upcountry History Museum. All Rights Reserved.